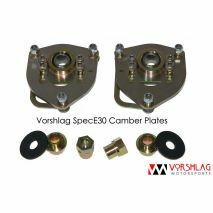 New Vorshlag camber plate design made specifically for the rules and strut style that are mandated in NASA SpecE30. 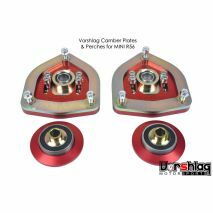 In order to properly use Vorshlag camber plates, choose spring perches that match your strut brand and spring type. 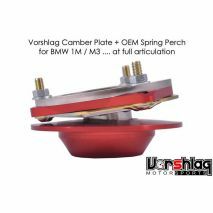 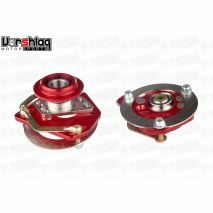 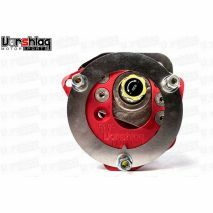 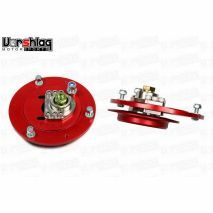 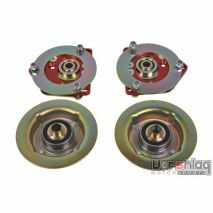 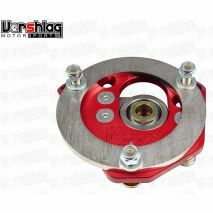 Vorshlag camber/caster plates are designed to be compatible with 2.5”, 2.25" and 60mm “coilover” style springs, stock style springs (for 95M, 96-99M, and non-M) and all strut types. 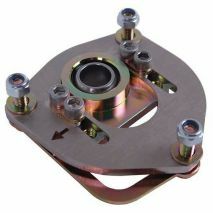 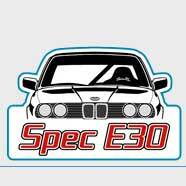 This camber plate can only be used with OEM diameter springs (OEM springs, lowering springs, some coilovers) and can be used with virtually any strut type. 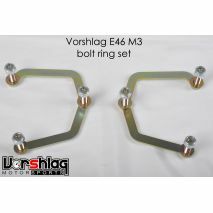 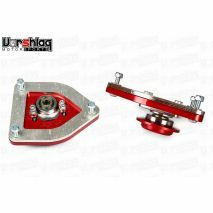 Easily adjust camber trackside with Vorshlag camber/caster plates. 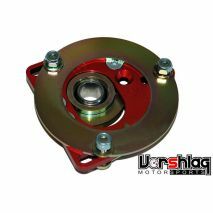 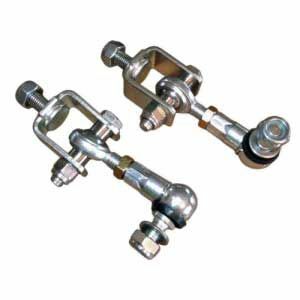 Oversized spherical bearings are designed to withstand the rigors of street and track abuse. 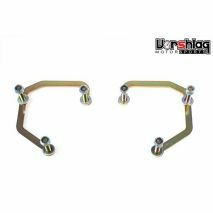 This design can add up to 2.5° of additional negative camber, which keeps the outside front tires flatter when cornering, reducing tire wear and increasing cornering grip.